For small hospitals, large healthcare networks and other medical-related organizations, navigating the ever-changing implementation of the Affordable Care Act can be tricky. Regulations have become increasingly complicated, leading to effective or enforcement dates being pushed back and organizations left scrambling to adjust deadlines and keep up with what’s happening — all in effort to ensure compliance and avoid facing large penalties. 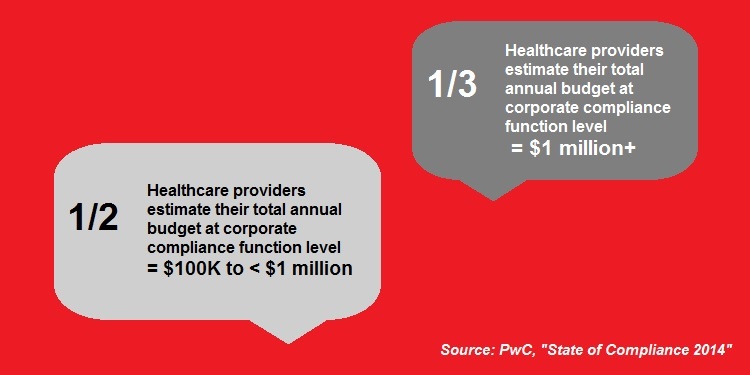 The rising compliance costs can be attributed to healthcare organizations bearing more financial responsibility, as well as their constant concerns about several risks to their business, including privacy and confidentiality, industry-specific regulations and security, according to the PwC study. That same Healthcare Finance article contends that the benefits of strong compliance programs far outweigh the cost — especially when it comes to technology upgrades. Legacy systems are more vulnerable and susceptible “to data security compliance risks or violations,” the article continues, and technology upgrades can help organizations avoid costly fines. Lessening the overall cost of compliance also starts with “putting appropriate policies and procedures in place… [and] ensuring that training and education are regularly updated,” according to the article. Healthcare organizations need an organized, easy-to-use, secure system for establishing and maintaining their policies and procedures — such as ConvergePoint’s Policy Management Software. Talk toConvergePoint today to learn how our software can strengthen your compliance program, increase your ROI and help your organization avoid costly penalties.